Last night I was working in Google Blocks and for the life of me, couldn't select my extrude tool. 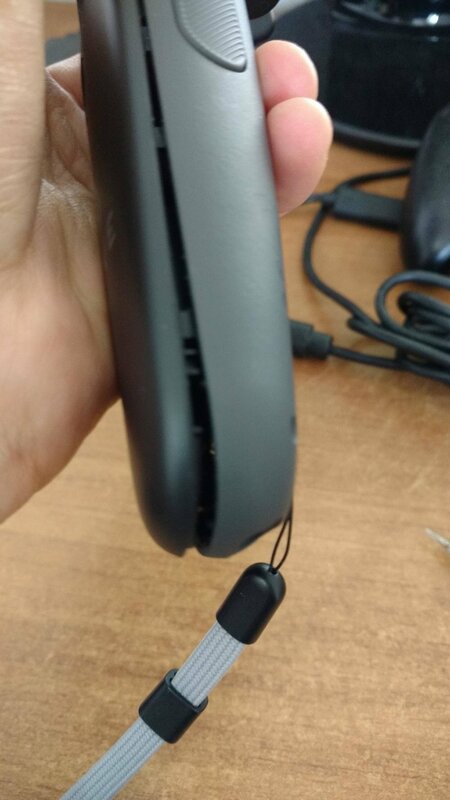 It sucked enough not being able to turn to the right in VR Chat because I could turn left a few more times but by last night, my controller finally progressed to a point of unreliability. 1. Begin by removing the two screws at the bottom of the wand with your TX5 screwdriver. 2. Next remove the 3 screws under the sensor ring. Two are visible, one is hiding under a thin seal. Stick your TX5 through the seal (red circle) and it'll rip, voiding your warranty and giving you access to step 3. 3. 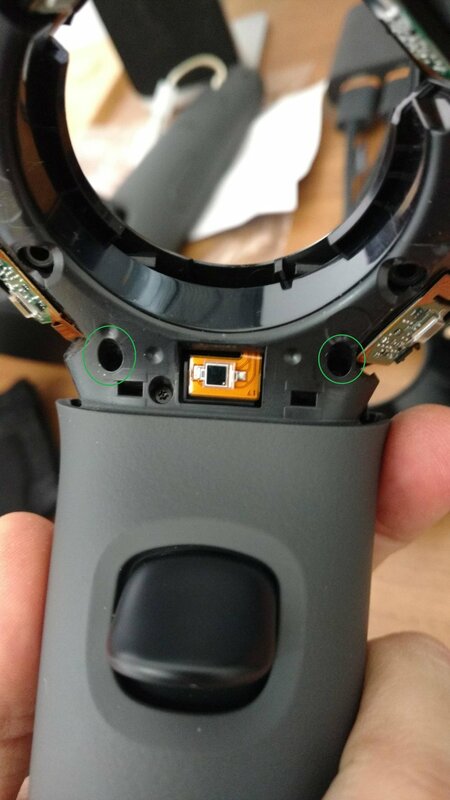 Remove the top side of the sensor ring. It has a bit of adhesive and you may feel squimish doing this. Just make sure you are applying gradual strength because you do want to approach this as delicately as possible. Once removed you'll see 3 silver screws which you can remove with your size 0 Phillips which will allow you to remove the bottom sensor ring cover. 4. There are 3 torx screws here and you only need to remove the 2 circled. This will allow the top half of the wand's handle to come off. 5. Start at the bottom and seperate the plastic halves GENTLY. There are three ribbon cables holding both the top and bottom together so again, start at the bottom and once you get it cracked, apply gradual, firm but controlled pressure right around the touchpad and where the side grips are. In my case, it was easier to open it like a book as opposed to lifting the top straight off. Looking at the underside of the trackpad you'll notice it's held in place by two screws (blue) and a tampon (purple). You do not have to mess with these at all...at least I didn't. Where the green highlights is the area where three should be a rubber nub. You see here that the nub (green) had fallen off. It should be where the red circle is and protrude ever so slightly past flush so that when you press the touchpad the rubber presses a beige plastic button on the lower half of the control. If your rubber fell off, use a rapid drying glue made for rubbers and plastics to adhere it back in place. However in my case, the rubber was still there, just flattened and not making contact anymore. To remedy this, I used an exacto knife and cut 2 small squares of tape and carefully placed it over the rubber which solved all my issues. I did as this pic shows, try 4 pieces at first and I couldn't click (I tested the wand with VR on). So I removed all of them and tried one piece of tape at a time. The first tape gave me back the click sound but still didn't register properly. THE SECOND layer of tape however worked just fine. I would suggest if your rubber is present but the controller not working to launch STEAM VR and carefully add a layer and test BEFORE putting everything back together.